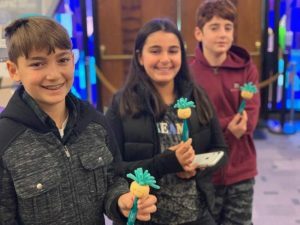 Sinai Temple Religious School is excited to announce a new initiative, honoring Mensches of the Month! The Mensch of the Month program recognizes students who are respectful and honest with great attendance and positive attitudes. Mensches are good listeners, kind, and helpful to teachers and other students. Each month during tefillah, one Mensch from each class in honored, photographed and featured on our STRS Facebook page. They also receive our fun Mensch of the Month pens! 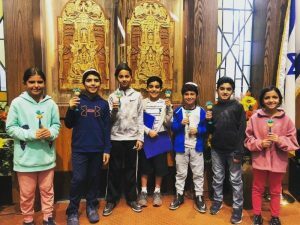 To learn more about the Mensch of the Month program and other Sinai Temple Religious School programs, contact Sara Capland at scapland@sinaitemple.org or (310) 481-3271.